G.A. Maintenance was founded in 2001. 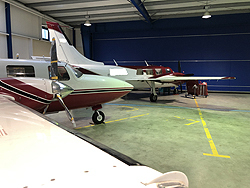 The company's main activity is aircraft maintenance on a wide range of aircraft up to 5.700 KG. G.A. Maintenance is operating from Findel Luxembourg airport (ELLX) and is PART 145 approved. Looking for an aircraft? We might have the one you are looking for. 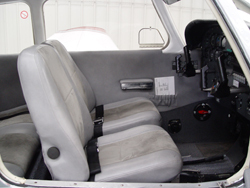 Take a look on our (used) aircraft page or let us know what you are looking for and we will find it! You purchased an airplane and would like to have it registered in Luxembourg ? G.A. 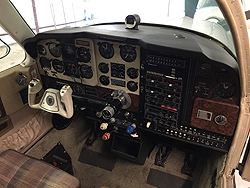 Maintenance can help you with this and many other things related to purchase and import, like purchase inspections before you buy the airplane. If you wish we can also arrange the ferry flight from many destinations including the USA. 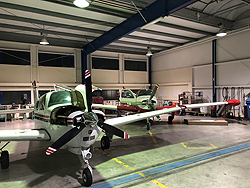 GA Maintenance is Part 145 approved and able to provide maintenance support on Piper, Cessna, Cirus, Beechcraft, ACA, Rockwell, Diamond, Aerostar and many others. We are specialized in the Aerostar and Beechcraft and all Cirrus models. G.A. 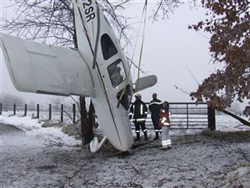 Maintenance will provide you with all the maintenance inspections required to have a safe flight. 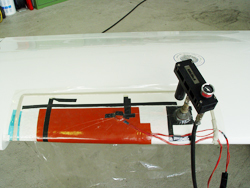 G.A Maintenance is also able to provide you with structural repairs on sheet metal as well as composite material. You have an N- registered airplane? No problem with our American A and P inspector on site we can be of service on these aircraft too. Of course we can maintain all airplanes registered in the EU. In case of an incident or accident G.A. 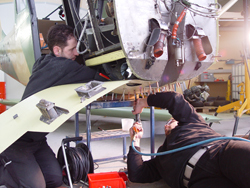 Maintenance is capable of providing you a top service for aircraft salvage throughout Europe. 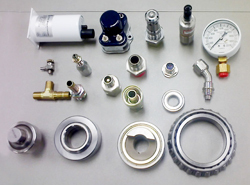 Looking for particular parts? Also there G.A. Maintenance can be of assistance. G.A. 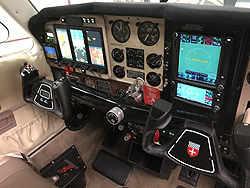 Maintenance is your contact for all avionics modifications and upgrades to your aircraft including EASA approval. Please contact us for Garmin products ,Aspen and much more. G. A. 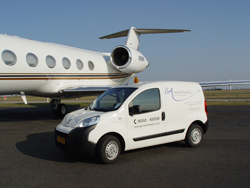 Maintenance is supplying aircraft cabin refurbishment solutions to meet your specific needs, whether private or business, from simple repairs through to complete project management. 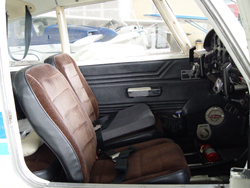 Improve the practicality and comfort of your aircraft interior? Refresh elements of the interior to give a new and modern look? Contact G. A. Maintenance to discuss your requirements. G.A Maintenance is able to assist you on any line maintenance issues you might have give us a call to discuss your needs. You have an N - registered airplane? No problem with our American A and P inspector on site we can be of service on these aircraft too. Of course we can maintain all airplanes registered in the EU.